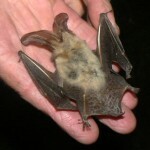 Going on a bat walk this evening in Coole Park. 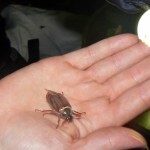 It is part of BioBlitz by The National Biodiversity Data Centre. Starting in a few minutes. Hoping to see some bats. Looks like a perfect night for it, warm, calm and clear. It was the best day of the year so far. Only problem with blogging in the wild…. No coverage! Hope to get pictures to post later. Seems like a small group here for it, thought there would be loads…not everyone like me! Great reference material in the center, it could keep you busy for years. Loads of wild garlic in season here too, don’t think rangers would be too impressed with me picking it though. On to the bats…seen first bat. Full report to follow.. The bat walk started with with the group being shown some mummified sample bats to get us warmed up for what was to come. 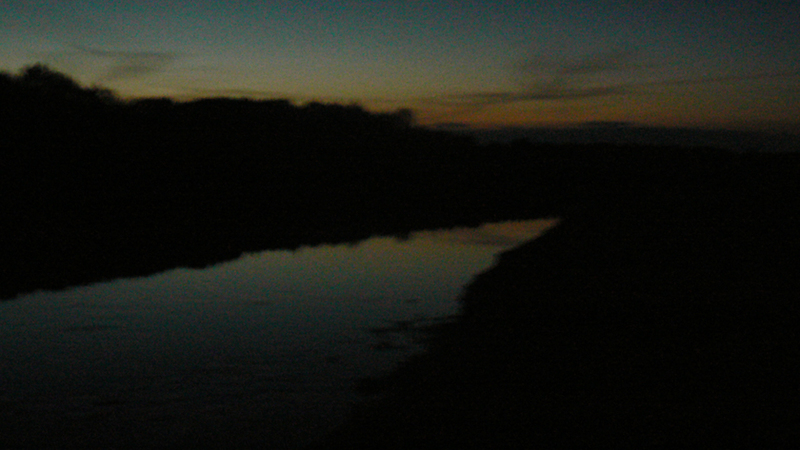 As dusk approached we went over to a stone building and waited for bats to emmerge. We did see a few bats here but it seemed, with the fine evenings we have been having recently, that perhaps the bats were not too hungry. 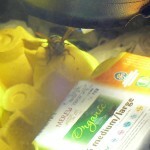 We were introduced to bat detectors. Theses are hand held devices that convert bat sounds into sounds the the human ear can hear. 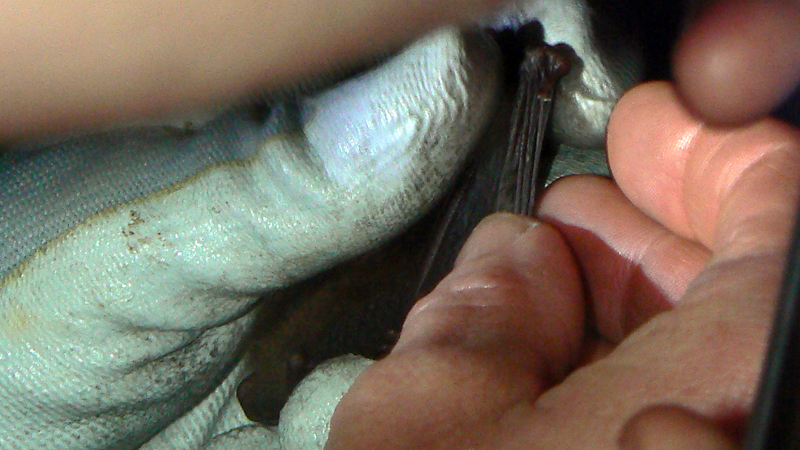 The detectors were set at different settings to listen for different species of bat. As the night drew in sure enough, using the detectors, we could hear the bats and could see them very well sillouetted against the as the clear sky. 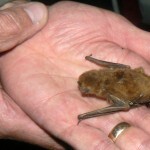 The first bat identified was Leisler’s Bat, which we were told flies at a higher level to other Irish bats. 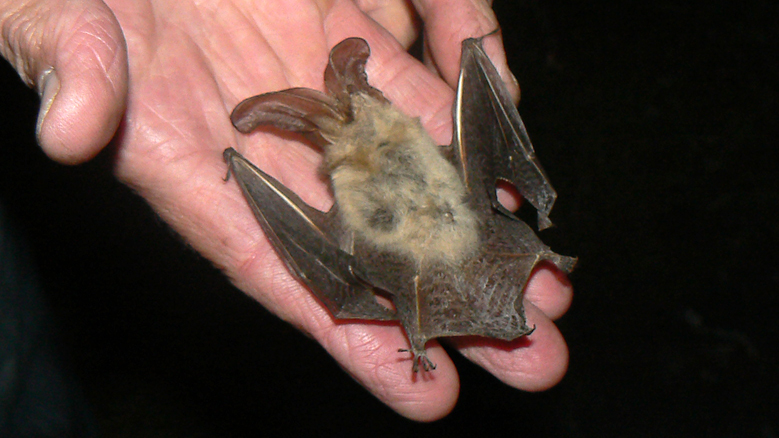 Leisler’s Bat can be heard at 20hz on the detector. At the buildings we also saw and heard (with the detector set at 50hz) the Soprano Pipistrelle. 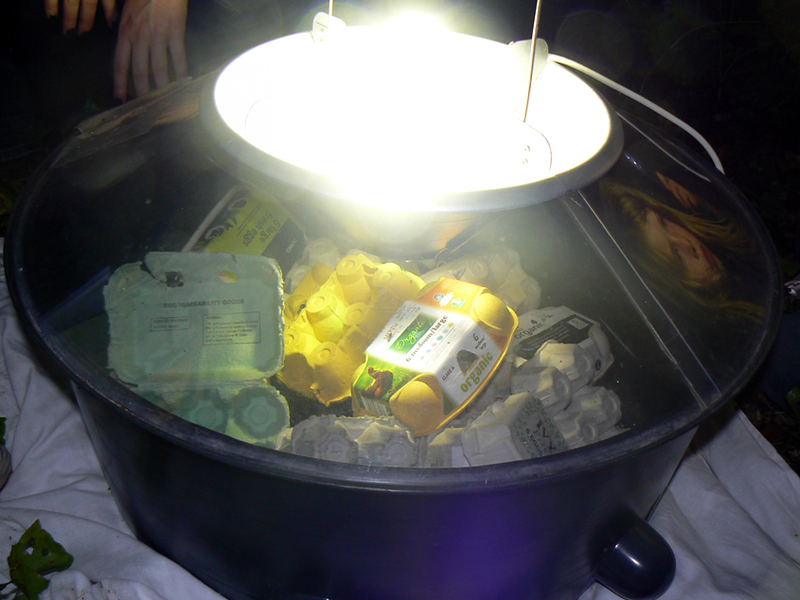 After some time at the buildings we went over to see a moth trap set up as part of the BioBlitz. 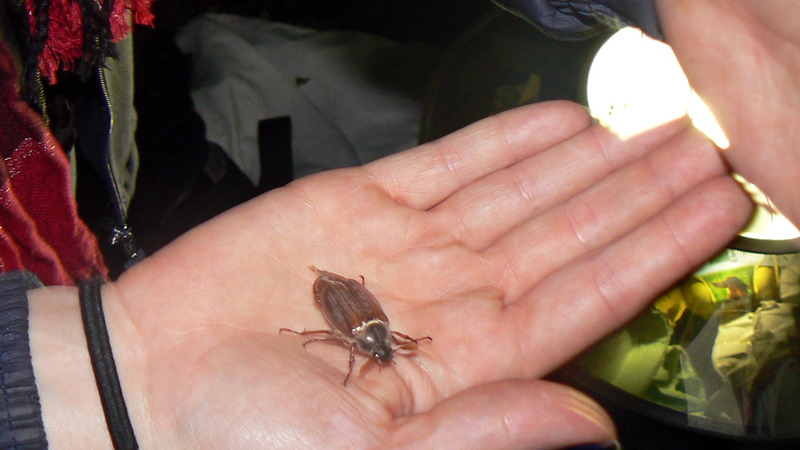 Saw plents of beatles and not many moths – very interesting all the same. While we were watching and waiting for the bats to emmerge, bat experts had set up fine nets in known bat haunts to catch and identify some bats. We got word that they now had some bats to show us. We followed the ranger down a dark track to where the experts were waithing. 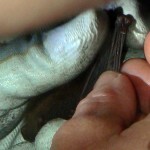 We were shown a Daubenton’s Bat they had caught. 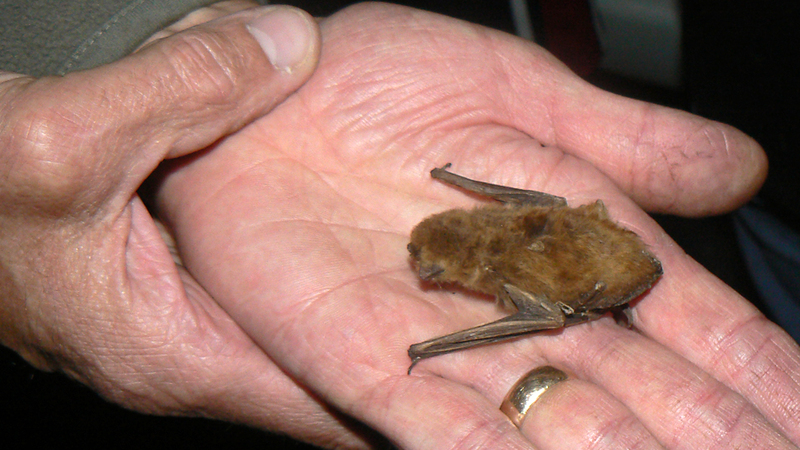 Daubenton’s Bat is known as the water bat for its habbit of skimming just over rivers, lakes etc in search of food. 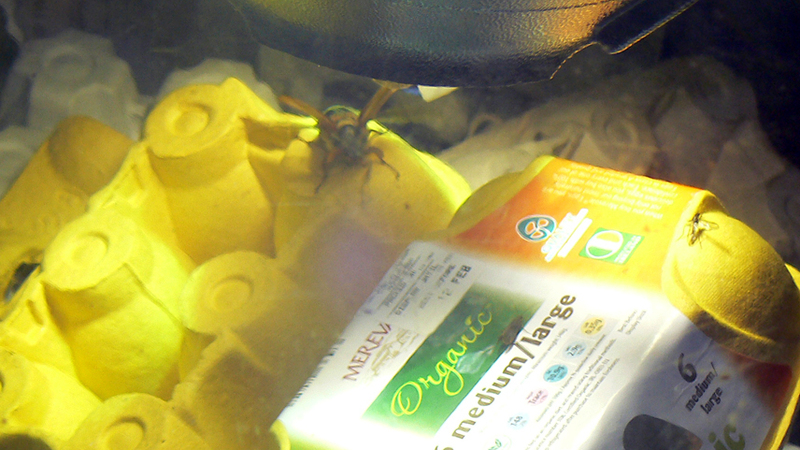 It has large feet that it uses to catch its prey. We were shown the bat then it was released. 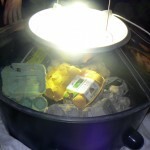 Following the bats release we went down to a river and using the detectors and a strong lamp we watched Daubenton’s Bat in action skimming accross the top of the water. After some time we moved to the edge of the trees to detect bats as some species like to operate at the edge of woods. To fininsh off the bat experience we were shown more mummified samples of bats such as the long eared bat. On the way back to the car park we stopped off at the moth trap again to see how it had done. I helped the rangers bring the gear back from the woods and the night was over. Great night, great experience, big thank you to all at Coole park. Note: It was such a clear sky that a number of meteroites were seen as well as a satallite travelling accross the say. 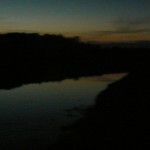 This entry was posted in Close Up, Nature and tagged bat walk, BioBlitz, Biodiversity, coole park, Daubenton’s Bat, Galway, Leisler’s Bat, Moth Trap, Soprano Pipistrelle on May 21, 2010 by admin.